← 18th EDITION SERF UNDER_GROUND JOURNAL. THE DIVINE COMEDY – WELL, HUMAN REALLY. Dedicated to the memory of Max Anacker, global citizen with a distinguished career in Chemical Engineering, denizen of Climate Etc and Serf Under-ground Journal, witty and wise. While laughter and the nature of the comic have been the subject of many earnest studies, I do not propose to burden the reader, or myself, in their detailed pursuit. 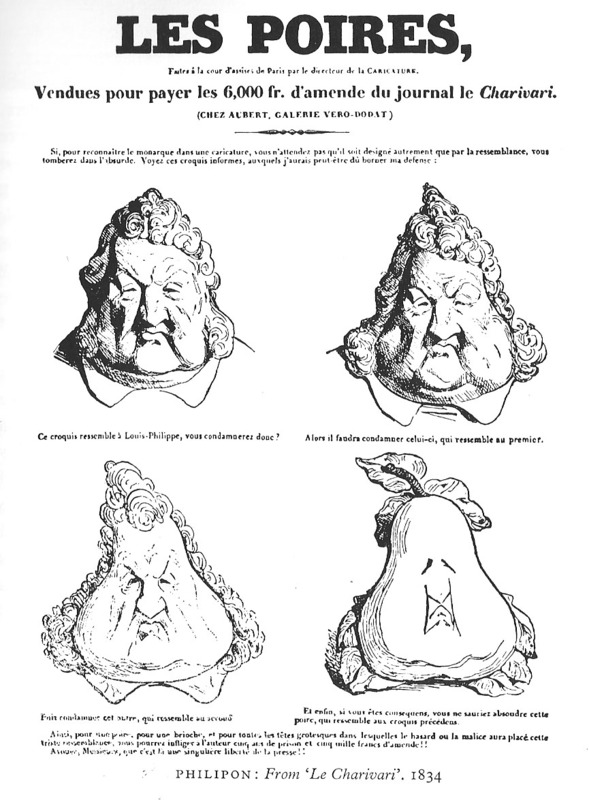 Rather a selection supported by illustration from the cornucopia of comedy, examples from film, the cartoonist armoury and from the litera-chure. # The Superiority Theory of Aristotle focusing on the darker side of comedy, specifically that we laugh in response to our elevation over others’ unfortunate situations or social standing. Tsk! # The Relief Theory of Sigmund Freud that focuses on laughter and humour as a form of emotional release, funneling energy away from pent up emotions and, you guessed it, sexual repression. # The Incongruity Theory of Immanuel Kant in which something funny revolves around derailed expectations or an effective, unpredictable punchline that takes us by surprise. Then there’s Henry Bergson’s theory in his essay, ”Laughter: An Essay on the Meaning of Comic,’ which includes some of the above, particularly the incongruous, and more, ‘with no aim of imprisoning the comic spirit within a definition,’ instead seeking ‘a practical acquaintance, such as springs from a long companionship.’ … Say, I like that. So what does Bergson’s long acquaintance with the comic uncover? Herewith some extracts and let’s see how they fit with the divine comedy, well ‘human’ comedy actually. … Hmm, more of this later. Say, could laughter, as an evolved instinctive response, be linked to social survival, kinda’ like the zig-zag dance of the Stickleback in me previous edition on ‘Virtue and the Selfish Gene?’ Jest askin’. Maxwell Smart, always good for a laugh concerning a comic inelasticity of mind. Take his calling for the ‘Cone of Silence’ in his private talks with the Chief.You might almost consider it a fetish. Think Jane Austen’s cannon of comic characters, Mr Collins, Mary Bennet, Mrs Elton, deficient in self awareness, defined by self satisfaction. Well yes, ‘Oedipus,’ ‘Othello,’ ‘Macbeth’ and ‘Medea’ versus ‘L’Avare,’ ‘The Miser,’ ‘Le Misanthrope,’ or maybe butcher, baker, lawyer, thief, characters defined by prescribed behavior and habit, so moving us to laughter where tragedy may arouse in us emotions of pity, fear or sympathy. In Moliere’s L’Avare, the actions of the miser, Harpagon are so controlled by his avarice that it is no sooner repressed than it goes off again like a spring. When Valere points out to Harpagon the wrong that he would be doing in marrying his daughter to a man she does not love, then points out the character flaws of this man that Harpagon would compel his daughter to marry, Harpagon exclaims, ‘No dowry wanted!’ as a repeating burst every few minutes.’No dowry wanted!’ His exclamation, recurring so repetitively suggests a machine set going by an automatic mechanism. ‘The victim of a practical joke is in a position similar to that of a runner who falls – he is comic for the same reason. The laughable element in both cases consists of a certain MECHANICAL INELASTICITY just where one would expect to find the wide-awake adaptability and the living pliableness of a human being.’. In life, movement never halts but is ever-changing. In comedy movement becomes gesture. 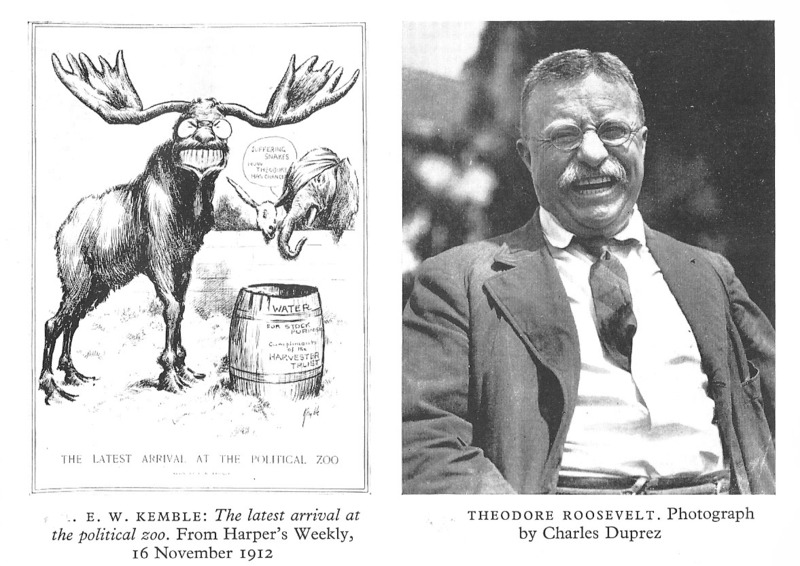 The more unconsciously the gesture is repeated, the more puppet-like, the more striking the comic effect. Take Off That Mask, Cape, Hat! In contrast to living supple behavior, Heni Bergson likens comic situations to the mechanical actions of a child’s toy, a marionette or a jack-in-the box. Heh, remember those flared trousers and weird hair styles of the nineteen seventies? ‘Let us then follow this logic of the imagination in the special case at hand. A man in disguise is comic. A man we regard as disguised is also comic. So by analogy, any disguise, any masquerade, is seen to become comic, not only in a man, but in a society also. See James Thurber, ‘Battle of the Sexes’. For the language of comedy we must make a distinction between the comic expressed in language and the comic created by language itself. The former could possibly be translated into another language whereas it is generally impossible to translate the latter. Algernon: Oh! I am not really wicked at all, cousin Cecily.You mustn’t think that I am wicked. Algernon: ( looks at her in amazement.) Oh! Of course I have been rather reckless. Cecily: I am glad to hear it. Algernon: In fact, now you mention the subject, I have been very bad in my own small way. “Come, we shall have some fun now!” thought Alice. “I’m glad they’ve begun asking riddles. I believe I can guess that,” she added aloud. ” Do you mean that you think that you can find the answer to it?” said the March Hare. ‘TRANSPOSING THE NATURAL EXPRESSION OF AN IDEA INTO ANOTHER KEY,’ is another potent source of comedy. ‘The means of transposition are so rich and varied … the comic is here capable of passing through so great a number of stages, from the most insipid buffoonery up to the loftiest form of humour and irony’ Transpose the solemn into the familiar, the result is parody, … make small things large,…exaggeration, is always comic when prolonged and especially when systematic …. 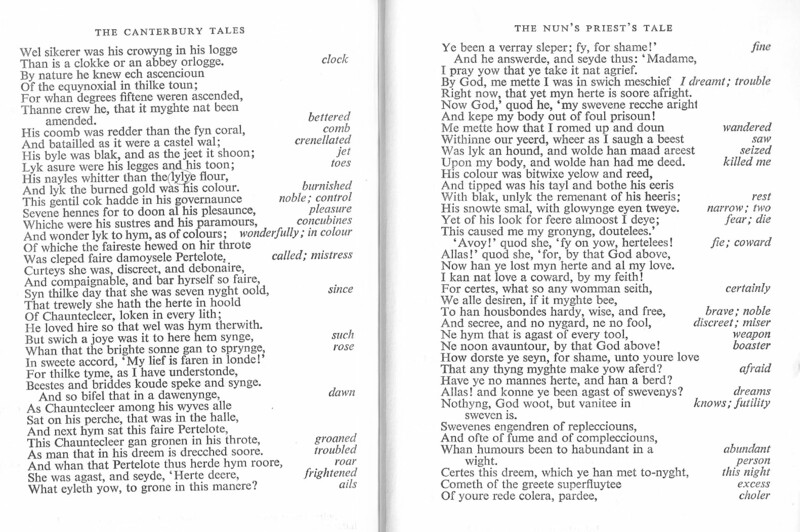 The divine Chaucer, the little to the big, the Nun’s Priest’s Tale, a farmyard drama. Tsk, I haven’t even mentioned the Marx Brothers or Zero Mostel and Gene Wilder in ‘The Producers!’ 9 … Or Eddie Cantor! Big post. Will have to re-visit. Good to see Thurber revived. Let his poor drawing competence work for him. Not many bad draughtsmen can be great cartoonists. None at all, really. Just Thurber. RIP Max. We hardly knew ye. Deeply appreciative of your comment, mosomoso. I often corresponded with Max and met him and his wife in Switzerland. He had a fine intellect, a good sense of humour, a keen awareness of the natural world and mans place in it and I am proud to have called him a friend. I don’t know about you, but it seems to me that the serfs hereabouts are getting too educated and uppity, if one did indeed write this journal which includes a cornucopia of literary references. Surely they can’t read let alone write? It appears to me they are aching for a rebellion against their betters. We need to put spies in their midst and learn of their plans. I know someone called Wat Tyler who seems very reliable. I will contact him. Tonyb, I haven’t struck one of the female serfs in weeks. Well, not hard. I’m trying to take a more modern approach for a while. If I can increase the cost of their electricity they won’t have so many distractions in the evening. Can’t read much Jane Austen in the dark, can they? But the serfs are getting out of hand, and something will have to be done. This Wat Tyler…he’s some sort of community organiser, is he? Wat Tyler, my predecessor. He captured the Tower of London in 1381, I led the next capture, in 1964, to kick off a student rag rather than to promote the peasantry. Unlike poor Wat, I suffered no penalty for my actions. Electricity! Doncha’ mean candles? And God knows, how many hours serf hafta’ work to earn jest one of those! Wat Tyler is a reliable sort. In fact for my next article, ‘tranquility transition and turbulence’ I am relying on him to supply first hand accounts about the excellent weather we have all been enjoying in recent decades. He is a tiler of roofs by trade as opposed to a thatcher. A tiler is someone who attends to the sturdy roofs of gentlefolk unlike thatchers who merely patch up the raggedy hovels of serfs. He moves easily between the two worlds though and will be able to find out who is organising these serfs. I understand he is very social, so perhaps calling him a ‘social worker’ rather than a community organiser would seem a more apt phrase. I doubt he is educated enough though to understand the fine words and sentiments expressed in this journal. This compilation is a very fine piece of work. It must have taken a lot of time and dedicating it to Max was a very nice gesture which reflects well on you. Thank you. https://www.google.co.uk/search?sourceid=navclient&aq=&oq=gene+kelly+and+stewie+&ie=UTF-8&rlz=1T4DSGL_enGB415GB416&q=gene+kelly+and+stewie+dance&gs_l=hp..1.0l2.0.0.1.14979111………..0.ebgy_nnM0-charningf moment that FG is not normally known for. 50 years later Stewie Griffin from Family Guy was inserted into the self same movie. Tony, look forward to yr serf story. I know Max Anacker from Judith Curry’s blog Climate Etc, which I’ve visited regularly since its early days. Max was the poster for whom I felt most affinity. His approach, his understanding of the issues and his policy responses to them were very similar to mine. In addition, I appreciated Max’s courtesy and patience, his preparedness to reply and explain to people who at times were exasperating. I set great store by honesty, integrity and dealing harmoniously with others, and Max epitomised these qualities. I am glad to have known him, even if only via a blog. for denizens at CE, I would say. Well, I’m obliged to say, courteously, thank you ma’am. I am really sorry Max Anacker has gone. I really miss his comments. He was one of the very best, if not the best consistent poster on ‘Climate Etc’.. He was always polite and very patient, He was one of those rare people who could see the ‘big picture perspective’ as well as deal with and explain the detail. His explanations of difficult concepts were exceptional in their clarity and brevity. He would have been an excellent mentor for all he worked with and all he had dealings with. I did post a comment on CE shortly after Judith informed us he’d passed away. And I’ve mentioned in a few comments since how much I miss his comments. I feel some regret that I was rather abrasive with him in one exchange a few months ago and took offence when none was intended. I feel really sorry for that now. with him @ CE. Denizens could benefit from the wealth of professional experience you both brought to the debate. Max sounds like a great person, wish I had know him. was one in a million. I’m pleased you ordered the book, and tonight I watched the first episode of Foyle’s War, and liked it a lot. It was called “The German Woman”. Will definitely check out Thurber. He nailed it. One more thought about laughter; It amazes me how early in age and how readily children laugh. And sometimes they laugh fully, their bodies consumed. I enjoy it. Babies laugh! Nor sure that fits Bergson’s theory lol. Not sure if you saw this comment by David Springer in which he linked to two very good items that gave excellent background to Max’s life and career. We urgently need your obvious diplomatic skills in the Middle East. When are you available to fly to Baghdad? I am sometimes an impatient serf, better not to send me there. I have observed that you are the diplomatist. I have been to Baghdad three times. I am glad I am a vegetarian as I was there once with my manager many years ago and we observed the virtually open sewer that passed for the river. That evening we were official guests of the government and were served with fish caught just that day in the river. My excuses were accepted and I watched my manager force his portion down with relish. The previous trip I had met Sadaam Hussein who was moonlighting as head of the Govt Dept that imported goods. He had just got back from France where he had been royally bribed by our competitors and had just bought a villa in the South Of France with a side trip to Switzerland to salt away ‘his’ money. The highlight was a trip to Babylon where I was able to recount the ‘How many miles to Babylon’ rhyme. memoirs like ‘The Surgeon’s Log’ by James Abraham in1913 ? Foyle, 8.30 Saturday nights. Seems I’m way ahead of you on this one. You snooozed and you loozed. Too awesome for a single sitting. 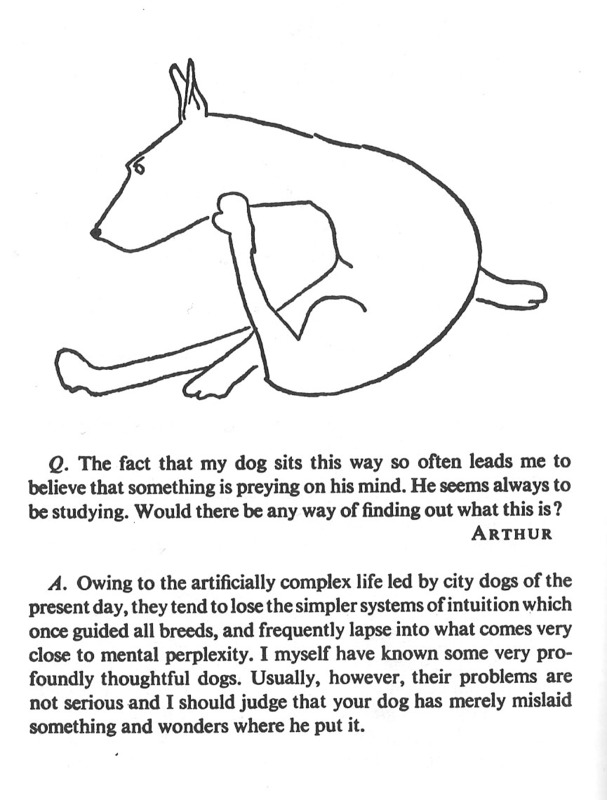 I don’t get the (first 2) James Thurber cartoons. Thx for comments Brad. Thurber? ). Like u said at cliscep. Exception: when I don’t get it. Then you have no choice. Besides, there’s nothing to lose, cos I didn’t get it anyway. 🙂 You’re asking me to explain a joke to you, comedy doyen? the communal gasp, like the gunshot that echoes round the world.